I love history, & especially British history. My interests started with the Victorians, then the Tudors & Stuarts (in both England & Scotland). Richard III dragged me back to the medieval period, than I became interested in the Anglo-Saxons. I've only recently started reading about Roman Britain & the 18th century - it took a while for the Georges to make an impression. Prehistory, though, has always confused me. I find it hard to come to terms with all the thousands of years before the Romans invaded in 43 AD. 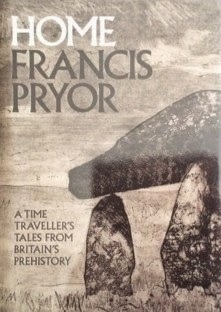 However, I've enjoyed Francis Pryor's previous books & I thought the subtitle of this one - a time traveller's tales from Britain's prehistory - sounded intriguing. I'm so glad I picked it up because if you're looking for an accessible book about Britain's prehistory with a little autobiography & quite a few opinionated rants thrown in, then this is the book for you. For those of you that are as confused as I am, the book covers the Mesolithic, or Middle Stone Age (9600-4000 BC), the Neolithic (New Stone Age 4000-2500 BC), the Bronze Age (2500-800 BC) & the Iron Age (800 BC-AD 43). You can see what I mean about the length of time in each of these periods. The title of the book is Home & it's the role of home & the family that Francis Pryor is exploring as a way of looking at Britain's prehistory. He was an archaeologist for over 50 years & is probably best known for his work on Time Team & the documentaries he made based on his previous books, Britain BC & Britain AD. His best-known projects have involved prehistoric sites such as Flag Fen, Fengate & Etton, all of which are referenced in the book as examples of different periods of Britain's history. I particularly enjoyed the way that Pryor uses his practical experience at every stage, often disagreeing with earlier academic historians who may never have actually been involved in an archaeological dig. Francis Pryor has also been a sheep farmer in the Fens for the last thirty years & his farming experience has informed his theories about what our prehistoric ancestors did & why they did it. He continually emphasizes the fact that our ancestors weren't so very different from us. There may be areas of their lives that we can't penetrate - mainly to do with religious beliefs - but they needed to feed their families & they were intelligent enough to work out how to build a watertight shelter, where to site their houses & farms, which crops to grow & livestock to rear. He has also discovered an enormous amount through replicating the techniques of the farmers of the past. The idea that hunter gatherers led a subsistence existence, moving around constantly living in flimsy structures & with no time for anything but survival, has been debunked in recent years. The widespread belief persists that our hunter-gatherer (i.e. pre-farmer) ancestors led impoverished lives. They would spend all day chasing around after scarce and flighty game, only to arrive back in the hovel, or cave at night-time, empty handed, or at best, with a moth-eaten hare or a hibernating hedgehog. Meanwhile, the wife and children had been out in the woods grubbing around for a few edible roots, or buried nuts. They gobbled down this unenviable repast over a flickering fire, then collapsed, still hungry, into a fitful sleep, always keeping one eye open in case the fire died down and a passing cave-bear might be feeling peckish. One of my favourite examples involves an Iron Age roundhouse that was constructed as the Iron Age people would have built it. It withstood a ferocious storm much better than the modern huts close by. At every point, Pryor considers what any human being would do in that situation to feed a family, build a house or create a community & looks at the evidence with this common sense in mind. I enjoyed the stories about the archaeological digs he has taken part in & directed, many of them in the Cambridgeshire Fens, a part of Britain that he obviously loves & feels a real affinity with. Etton is on the edge of the Fens. The enclosure was first constructed in around 3700 BC & in use for about 300-400 years. When Francis & his team started excavating, it was the site of a quarry & they had about a year before the quarry owners would come in & start extracting gravel from the site. The amount of material that had been preserved in the waterlogged conditions was amazing. The site was in two halves, one where people & livestock lived & the other where rituals & ceremony would have been conducted. The water had preserved large quantities of wood & Francis's wife, Maisie Taylor, an expert in prehistoric wood working, found that different areas of the enclosure were obviously being used for different processes. Then, more unusual items were found. A 2 ft length of twine was discovered which seemed like an unusual thing to have been casually lost as it represented a considerable amount of work. This discovery, in the centre of the enclosure ditch, & other similar discoveries led to the theory that the people who lived at Etton were deliberately depositing items in memory of their ancestors. At other sites, skulls had been found in ditches & at Etton, pots, a sea-urchin & even a fox's skull had been buried. The deposits were found at intervals all through the depths of the ditch. The objects that were found weren't broken or worn so were unlikely to be rubbish that had been tossed aside. There was a pattern to the siting of the deposits & the shape of many of the objects suggested a human head, maybe an offering or a symbol of an ancestor. Quern stones, used to grind grain & therefore very potent symbols of the home, were also found. They were broken deliberately, so as to make them useless in this world but maybe they were to be used by the ancestors in the next world? Pryor's theory about these deposits is influenced by his memories of his family's place in the graveyard of their local church. You can read something of our family history in the inscriptions on the tombstones - and that's what I think those neatly arranged and covered-over 'placed deposits' in the Etton enclosure ditch are essentially all about. They're permanent records of the doings of long-vanished relatives. I would imagine that every year the members of the family would have stood around their 'own' ditch segment, while a senior, older person recited the deeds - real and mythical - of the ancestors. It was part of the continuing process of educating the young and of binding people together, with their common family histories and shared memories. Had I lived in the earlier Neolithic, my life would doubtless have been commemorated with a carved flint trowel. There are many other case studies describing family & community life in Britain throughout prehistory. I think it was the idea of home being at the centre of the book that made it all make sense. Francis Pryor even calls the period around 1500 BC the Domestic Revolution, the period when roads & trackways had been built, the landscape had changed & different groups of people were brought into contact, forming larger social groups. There are so many interesting ideas in this book, which is written in an accessible, almost conversational style. I could hear Francis Pryor's voice as I read, having seen him on TV & read his blog, In the Long Run, for the last few years. I was prepared for the opinionated rants, & especially enjoyed the one about the delights of growing vegetables, being a veggie grower myself in a small way. It's all this practical common sense that informs every page of this book & makes us see our ancestors as just like us rather than as creatures from another planet. Francis Pryor has also recently started writing detective fiction. His first novel, The Lifers' Club, features archaeologist Alan Cadbury. The publication was crowd funded through Unbound, a site where readers can contribute towards the costs of publishing an author's work. I have The Lifers' Club on my Kindle & I'm looking forward to reading it soon. Francis's second book, The Way, the Truth and the Dead, is currently 49% funded. I've just finished reading a memoir by the novelist Margaret Kennedy which describes life in England from May-September 1940. It was written for an American audience & I found it fascinating. 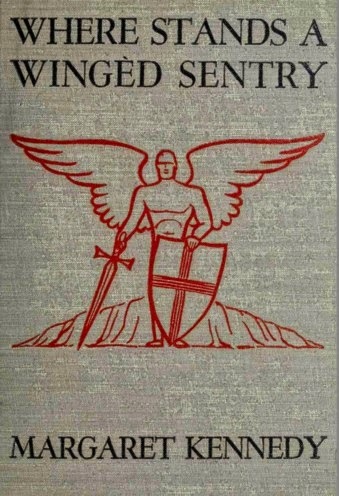 I'll be reviewing it properly in a few days but I was intrigued by the title, Where Stands a Wingéd Sentry, & wondered where it came from. I discovered that it was from a poem called Peace by the Welsh 17th century poet, Henry Vaughan. In honour of World Autism Awareness Week, Sue Hepworth is offering her terrific romantic comedy, But I Told You Last Year That I Loved You, for free, on Amazon for the next few days. I loved the book when I read it a few years ago & Asperger's, & the impact it can have on relationships, is a major theme of the novel. Here's my review & here's a post that Sue wrote about her decision to self-publish the book. Sue is also working on a screenplay of the novel & you can read more about that on her blog. 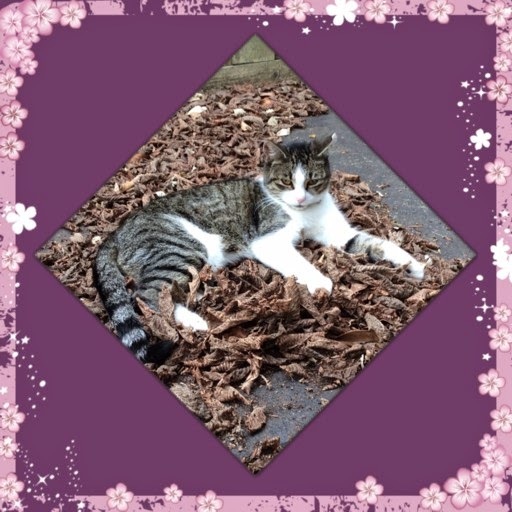 An interview with Sue is also featured on Christine Poulson's blog today. One of my favourite scenes in Alfred Hitchcock's Rebecca is during the inquest. The wreck of a boat has been found, a boat that contains the body of a woman, Rebecca De Winter. An inquest is called & Rebecca's widower, Maxim, is being asked some very difficult questions about the night his wife disappeared. During the luncheon adjournment, Maxim & his new wife are sitting in their Rolls Royce not eating the lunch sent from Manderley by their staff. Rebecca's louche cousin, Jack Favell, played by George Sanders, slides into the car, eats a chicken leg & tosses it out of the window, all the while making sly insinuations about Rebecca's death & threatening blackmail in the most suave way (you can see this scene here). George Sanders made a living playing suave, smooth cads in Hollywood movies from the 30s to the 50s, including his Oscar-winning role as critic Addison De Witt in All About Eve. He also wrote, or co-wrote, two mysteries, Crime on my Hands, & Stranger at Home, as well as an autobiography, Memoirs of a Professional Cad. All three books have just been reprinted by Dean Street Press. I've just spent several very enjoyable hours reading Crime on my Hands. The story is narrated by George & I could hear his voice in every line. What a pity he's not still around to narrate the audio book. As well as playing cads, George Sanders also made a successful series of mystery films playing a detective known as The Falcon. When the novel opens, George is making yet another Falcon movie & is starting to feel typecast. His agent, Melva, gets him a terrific part as the lead in a pioneer Western epic also starring screen goddess Carla Folsom. This could be the role that sends George's career in a whole new direction. The company are shooting a scene on location, when one of the extras is shot. It looks like a tragic accident, one of the prop guns must have been loaded with live ammunition rather than blanks. When it emerges that the man was shot with George's gun, a different calibre to the other weapons, which has since gone missing, it looks as though George is being framed for murder. How different this was from my screenplays. As The Saint, or The Falcon, I had been confronted many times with situations more baffling than this, and always I had penetrated to the heart of the matter, seen a clue, reconstructed the situation and acted unerringly. But here was a nameless bearded corpse sprawled inside the circle of wagons on baking sand. There were no dropped collar buttons, no cartridges of an odd caliber, no telltale footprint with a worn heel, no glove lost in haste. ... A nameless corpse, and the only clue to the killer was my gun, planted by a nameless hopeful who thought he could match wits with me. Only, this time the lines weren't written for me. I had to make them up as I went along. However, it seems that the extra, listed as Herman Smith, wasn't Herman Smith at all, but Severance Flynne, an unsuccessful small-time actor who changed places with Smith, but with what motive? All the extras wore beards, so had the bullet been intended for Smith or Flynne? George is drawn into the investigation & there seem to almost too many suspects - Riegleman, the director, anxious not to lose any time on a strict shooting schedule; Sammy, the prop man who should have made sure the weapons were safe; Paul, the casting director who was supposed to keep track of the extras. Then, there's Carla Folsom & Wanda Waite, both actresses with a lot riding on the picture for their future careers. Somebody in the cast & crew must have known Flynne but who was it & what could have been their motive to kill him? Deputy Sheriff Lamar James is an intelligent, ambitious policeman who can run rings around his boss, Sheriff Callahan. He reluctantly allows George to do some investigating on his own & George is soon entangled in more complications than he imagined possible. The murder was caught on camera but when not only the murder weapon but also the vital reel of film go missing, George looks like the only viable suspect. He needs to not only clear his own name but find the murderer if he's going to avoid arrest - & the end of the best career break he's ever had. Then, when the vital scene is reshot & George deduces that the shot had to be fired from behind the camera, the circle of suspects narrows, more murders are committed & George finds his own life in danger. Crime on my Hands is a fantastic mystery. The atmosphere of a film set in the 40s is fascinating & I loved the evocation of the whole Hollywood system. George's agent, Melva Lonigan & his press agent, Fred, are terrific. They're totally committed to George's career - & the cut they take of his earnings. Melva is smart & sassy, I imagined her played by Myrna Loy or Rosalind Russell. Vampy Wanda Waite could be played by Lana Turner & maybe a young Henry Fonda as Lamar James? I couldn't help casting the movie in my head as I read. The producer of the movie, Brewster Wallingford, must have been at least partly based on director Michael Curtiz. Curtiz' mangling of the language was notorious in Hollywood; David Niven used one of his most famous phrases, "Bring on the empty horses" as the title of one of his memoirs. 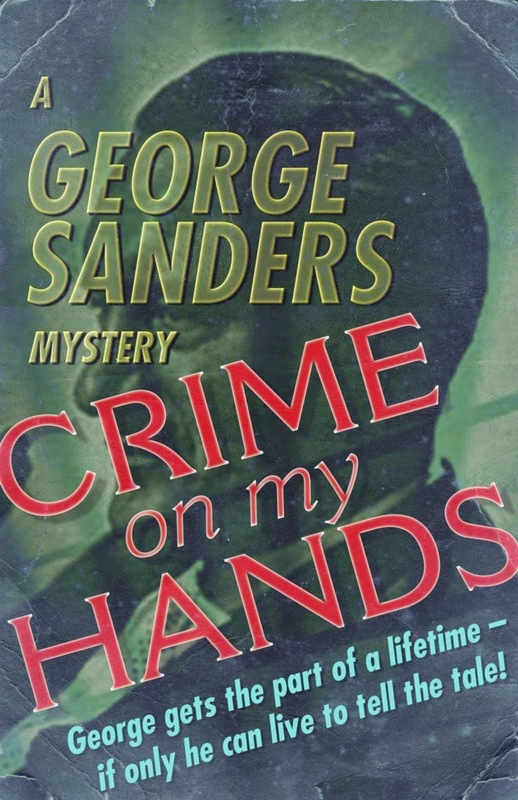 George Sanders is a witty narrator with a very dry, self-deprecating sense of humour. I found him infinitely more charming on the page than I ever have in the movies. For me, he'll always be Jack Favell or Miles Fairley, the sly cad in The Ghost and Mrs Muir. I really want to track down more of his movies now though. I'd like to see him playing a charming character rather than a cad. I don't know how much of the book Sanders actually wrote, it's co-written with Craig Rice, a popular crime writer who had written screenplays for Sanders' films. The dedication reads To Craig Rice, without whom this book would not be possible. George in the book certainly seems to owe quite a bit to Sanders' screen persona & aspects of his life such as his hobby as an inventor & his ability to cook are featured. I don't know that it really matters how much of the book is Sanders & how much is Rice. I enjoyed it very much & I think any fan of 1940s Hollywood or classic detective fiction would enjoy it too. Dean Street Press kindly sent me review copies of all three George Sanders books that they're reprinting & I'm looking forward to reading the others. They also have plans to reprint other mystery authors, including Ianthe Jerrold, who was featured by Scott at Furrowed Middlebrow in his truly remarkable list of women mystery authors. 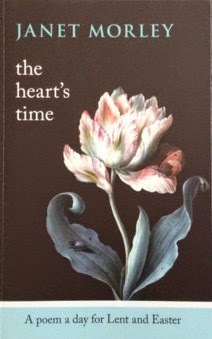 I've been reading Janet Morley's anthology of poetry for Lent, The Heart's Time. One poem a day with an analysis of the poem & some thoughts about the relevance of the piece for meditation during Lent. I'm not a religious person but I'm enjoying reading my one poem a day, reading the analysis & then reading the poem again. I first read about Janet Morley in this review on Vulpes Libris about her anthology for Advent, Haphazard by Starlight. I love reading poetry & I like the idea of taking the time to read one poem a day. The Lent anthology includes poems by many of my favourite poets - Herbert, Christina Rossetti, Blake, Dickinson - along with others I've never read before like U A Fanthorpe & Kei Miller. This poem, Pax, is by D H Lawrence. I vaguely knew that Lawrence wrote poetry but I don't remember ever reading any. The image of the sleeping cat drew me to this poem immediately, I love the image of contemplative rest & calm, the repetitions of the words peace, sleeping, yawning. This time of year, the beginning of autumn, is one of my favourites seasons. I feel contented, looking forward to autumn & winter. 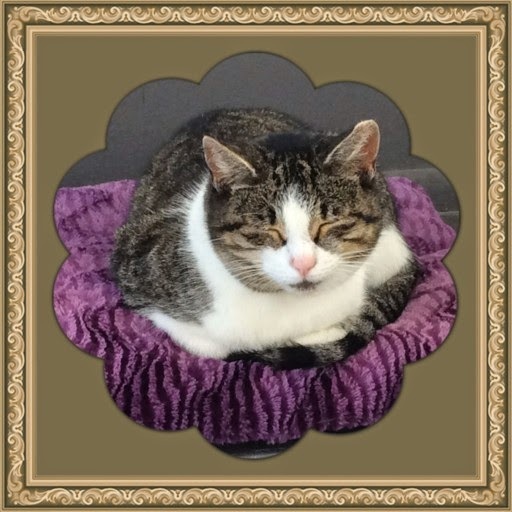 The image of a sleeping cat makes me think of safety; a cat never fully abandons itself to sleep unless it feels safe. On Friday night I had Lucky & Phoebe both asleep on my lap (it was a very tight squeeze), Brahms' Violin Concerto on the radio & it was very peaceful, even though I couldn't move an inch. This novel has it all. Set in 17th century Japan, it's a story of intrigue & betrayal at the highest levels of society. It's adventurous, heart-stopping & has a poignant love triangle as well as a romantic quest at its centre. 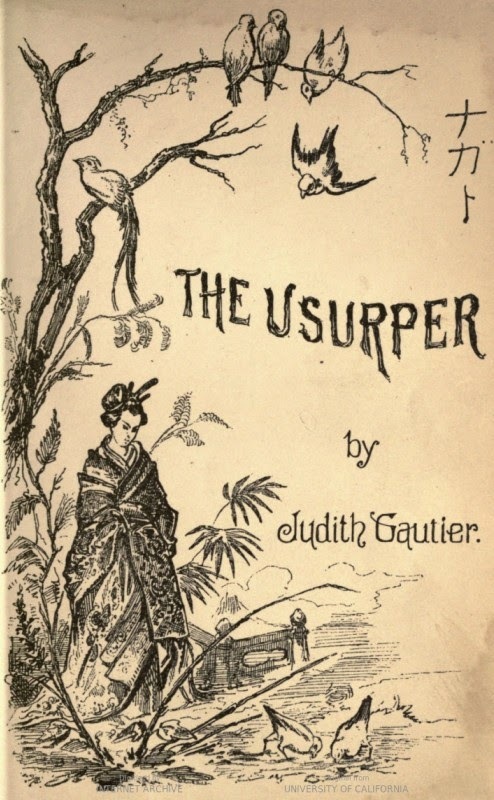 The Usurper (cover picture from here) was written by Judith Gautier, daughter of the poet & writer Théophile Gautier. She wrote several novels using her expertise as a scholar of China & Japan. I had never heard of Judith or this novel until it was suggested for my 19th century bookgroup. Yet another fascinating book that would have passed me by if not for the wide reading of the members of the group. The Mikado, more god than emperor, reigns over Japan but the actual rulers of the country are the Shoguns. One of these, Fide-Yori, is a young man whose duties have been carried out by Hieyas, an ambitious older man who is called the Regent although he does hold the title of Shogun. Hieyas is content for Fide-Yori to spend his time hunting with his friends, including his closest companion Iwakura, Prince of Nagato. Hieyas is Nagato's enemy & tries to kill him several times, however, his plans are unsuccessful. When Nagato appears at a Council meeting with a letter from the Mikado requesting that Hieyas step aside, Hieyas realises that he has no choice & steps down. Nagato counsels the Shogun to sign Hieyas' death warrant as he will certainly not do the honourable thing & commit suicide but Hieyas escapes to his own estate & the opportunity is lost. Nagato is in love with the Kisaki, wife to the Mikado, who lives a life of seclusion & ritual. The Kisaki returns Nagato's love but realises that their relationship is doomed. One of the Kisaki's ladies, Katkoura, is in love with Nagato but he is indifferent to her. On a Court picnic at her Summer residence where the Kisaki & her courtiers write & recite poetry, Nagato realises that the Kisaki loves him & Fatkoura realises it too. Hieyas decides that he is no longer willing to forgo the title of Shogun. It's a hereditary title & he wants to bequeath it to his son. He attempts to murder Fide-Yori but his plot is discovered by a young woman, Omiti, who warns the Shogun & Nagato averts the crisis. The Shogun is entranced by Omiti & is determined to make her his wife. However, she has disappeared. Hieyas instructs his son to spread discontent among the other nobles while he fortifies his stronghold with his supporters & plans his next attack. Nagato & the Shogun, Fide-Yori, gather their forces & plan their strategy. A young man, Sado, who bears a resemblance to Nagato, creates a diversion while Nagato gathers a fleet of fishermen to carry out an audacious strike at the heart of Hieyas' forces. The Kisaki has commanded Nagato to marry Fatkoura. He is reluctant but realises that there is no future for his relationship with the Kisaki. His attentions to Fatkoura before he fell in love with the Kisaki have given rise to gossip & the only honourable way to silence the talk is to marry the young woman. Fatkoura travels to Nagato's home & is kindly received by his father. However, Hieyas' forces attack the castle & Fatkoura is abducted by the Prince of Tosa, one of Hieyas' allies. Tosa falls in love with Fatkoura & hopes she will marry him but she is contemptuous even though her feelings for Nagato swing from love to jealous hatred. Tosa's forces defeat an army led by Sado masquerading as Nagato. Sado is captured & brought to Tosa's fortress. He is not allowed to honourably commit suicide & is beheaded. His head is taken to Hieyas as a trophy. Fatkoura has discovered that the captive is not Nagato but her attempts to rescue him are foiled by Tosa who forces her to watch the execution. Fatkoura's imprisonment becomes stricter as she continues to resist Tosa's advances. A crisis is reached when Nagato's army lays siege to Tosa's palace.The victory of Fide-Yori is celebrated with a gala theatrical performance but there are disgruntled murmurings among the working people at the extravagance of the aristocrats, especially Fide-Yori's vain, thoughtless mother, & another rebellion is only narrowly averted. Fide-Yori has become disheartened by his fruitless quest to find Omiti & has neglected his official duties & care of his subjects. The final battle between the forces of Hieyas & Fide-Yori will decide the future of Japan. This is such an exciting story although I must admit that I was finding the story quite slow going until Hieyas' rebellion begins. The scenes at Court & at the Kisaki's summer residence are beautifully described but so formal & stylized that I was feeling impatient although the formally polite language & ritual very effectively highlighted just how impolite & murderous the protagonists were really feeling. The central love triangle is beautifully done. I really felt the Kisaki's misery at her circumscribed life. Every move she made was watched & her every utterance scrutinized for meaning. It reminded me of the stories about Crown Princess Masako, who married the Crown Prince in 1993. The isolation of the Imperial family is highlighted by a scene where the Mikado, an enormously fat young man, moans about his loneliness & boredom. Because the Mikado is treated as a god rather than a human being, he is at liberty to do anything or nothing & usually does nothing. His relationship with his wife, the Kisaki, is formal & distant; they seem to live completely separate lives. His servants are not even allowed to suggest meals to the Emperor so he has 33 different meals prepared every day in 33 rooms & walks from one room to the next until he finds something he fancies. Nagato is a resourceful hero. His scheme to scupper Hieyas' navy is bold & carried out with courage. He is also completely loyal to the Shogun Fide-Yori & inspires loyalty in his followers. The tragedy of Nagato's impossible love for the Kisaki is the great sorrow of his life which never leaves him & he also feels some guilt for Fatkoura's fate. There are elements of fairy story in The Usurper, particularly in the quest of Fide-Yori to find Omiti. There are also echoes of the Arthurian legends in the story of Nagato, Fatkoura & the Kisaki. I wondered if those elements were in the original story or whether Gautier added them. There are some beautiful set pieces in the book - the picnic at the summer residence & a later visit to the theatre. However, I also felt that Gautier had crammed in every bit of research she had done. I found it all fascinating because I know very little about Japanese culture but it did slow the novel down. I've decided to replace Sunday Poetry this week with Sunday Song. I'm beside myself with excitement because this afternoon I'm heading off to the Arts Centre in Melbourne to see the brilliant Bryn Terfel in concert singing Broadway Classics with the Melbourne Symphony Orchestra. My lovely friends at work bought me the ticket for my birthday & I've had a calendar on the wall over my desk marking off the days until the concert. 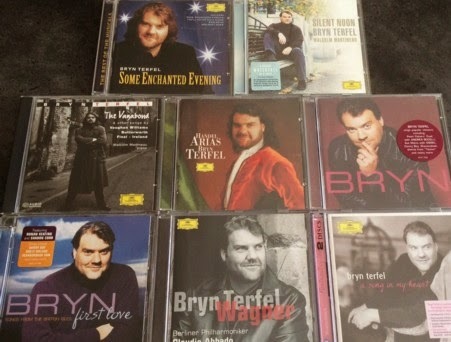 You can see my collection of Bryn CDs above & if you've never heard the Welsh Wonder, there are many clips on YouTube here. I especially love his versions of English folk songs & his recordings of Gerald Finzi, George Butterworth, Vaughan Williams & Benjamin Britten are my favourites. Maybe he'll sing The Foggy, Foggy Dew as an encore? Whatever he sings will be a treat & to see him in person will be wonderful. More Sunday Poetry next week when I've calmed down a little. Lord Byron is one of the most famous literary figures the world has ever known. Whether his fame is due to his romantically early death in the cause of Greek independence or because of his scandalous private life, Byron was famous amongst his contemporaries & remains famous today. His fame should rest on his wonderful poetry & his letters, which I've been reading over the last month, rather than speculation about whether he had an affair with his half-sister or what he could possibly have done to make his wife leave him only a year after their marriage. The letters are full of fun & wit. I laughed out loud often but Byron also writes of his misery over the death of friends; his despair at his famously unhappy marriage & the aftermath of his separation from Annabella. He tells a fantastically good story & often skewers an opponent (often his much-loathed mother-in-law, Lady Noel) with a witty phrase. His correspondents include his half-sister, Augusta, his friends, Thomas Moore & John Cam Hobhouse, & his publisher, John Murray. The letters to Murray are my favourites. In between instructions for the publication of his latest work, he implores Murray to send him supplies of magnesia, corn plasters & tooth powder. Quotations from Shakespeare (particularly Macbeth), Scott & other favourite authors are just dropped in everywhere, in the middle of sentences, as if his thoughts were a mixture of his reading & his own experience. Most of the letters were written in his self-imposed exile in Italy, where he went to escape the gossip surrounding the end of his marriage. 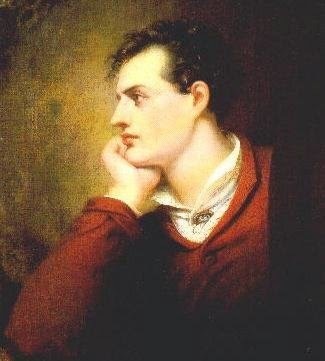 Byron was already famous for his poetry by this time, especially Childe Harold's Pilgrimage, which drew on his experiences travelling in Greece & the Middle East. His style is so readable, racy & colloquial, like a novel in verse, giving the impression that it was just dashed off, written as quickly as it can be read. The public confused the man with his creations & the image of the Byronic hero was an amalgam of Byron himself & his characters. His relationships, most notoriously with Lady Caroline Lamb, who called him "mad, bad and dangerous to know" & wrote a novel, Glenarvon, about their affair, added to the mystique surrounding him. 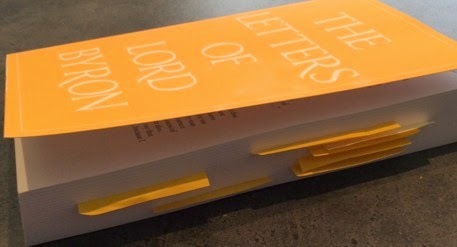 As you can see, I kept putting sticky notes in my copy as I read & I'd much rather share some of my favourite passages so you can hear the man himself rather than me trying to describe him. I did not believe such a woman existed - at least for me,- and I sometimes fear I ought to wish that she had not. I must turn from the subject. My love, do forgive me if I have written in a spirit that renders you uncomfortable. I cannot embody my feelings in words. I have nothing to desire - nothing I would see altered in you - but so much in myself. I can conceive no misery equal to mine, if I failed in making you happy,- and yet how can I hope to do justice to those merits from whose praise there is not a dissentient voice? I heard the other day that she (Annabella) was very unwell. I was shocked enough - and sorry enough, God knows, but never mind; H (Hobhouse) tells me however that she is not ill; that she had been indisposed, but is better and well to do - This is a relief. As for me I am in good health, and fair, though very unequal spirits; but for all that - she - or rather the Separation - has broken my heart. I feel as if an Elephant had trodden on it. 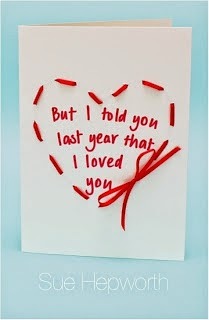 I am convinced that I shall never get over it - but I try. I rejoice to hear of your forthcoming in February - though I tremble for the 'magnificence' which you attribute to the new Childe Harold. I am glad you like it; it is a fine indistinct piece of poetical desolation, and my favourite. I was half mad during the time of its composition, between metaphysics, mountains, lakes, love unextinguishable, thoughts unutterable, and the nightmare of my own delinquencies. I should, many a good day, have blown my brains out, but for the recollection that it would have given pleasure to my mother-in-law; and, even then, if I could have been certain to haunt her - but I won't dwell upon these trifling family matters. And yet the same Shelley, who was as cool as it was possible to be in such circumstances ... certainly had the fit of phantasy which Polidori describes, though not exactly as he describes it. 1stly That you shall write to me of yourself, of the health, wealth, and welfare of all friends; but of me (quoad me) little or nothing. 2dly That you shall send me Soda powders, tooth-powder, tooth-brushes, or any such anti-odontalgic or chemical articles, as heretofore, ad libitum, upon being re-imbursed for the same. 5thly That you send me no opinions whatsoever, whether good, bad, or indifferent, of yourself, or your friends, or others, concerning any work, or works, of mine, past, present, or to come. This edition is a reprint of the 1933 selection of the Letters by R G Howarth. Byron's Letters were originally collected & published by Thomas Moore, who deleted some material considered too shocking or embarrassing for publication, replacing the offending words with asterisks. It wasn't until Leslie Marchand's 12 volume Collected Letters was published in the 1970s, that an unexpurgated edition was available. Thank you to Mike Walmer for sending me a review copy. I've posted this poem before but it's one of my favourites so I'm not going to apologize for repeating myself. I was so pleased to find the poem in its context as I was reading Byron's Letters. He included it in a letter he wrote to his great friend, Thomas Moore, from Venice on February 28th 1817. Byron tells Moore about Carnival season in Venice, "At present, I am on the invalid regime myself. The Carnival - that is, the latter part of it, and sitting up late o'nights, had knocked me up a little. But it is over - and it is now Lent, with all its abstinence and sacred music." He feels tired & worn out, at the age of twenty-nine. If I live ten years longer, you will see, however, that it is not over with me - I don't mean in literature, for that is nothing; and it may seem odd enough to say, I do not think it my vocation. But you will see that I will do something or other - the times and fortune permitting - that, 'like the cosmogony, or creation of the world, will puzzle the philosophers of all ages'. But I doubt whether my constitution will hold out. I have, at intervals, exorcised it most devilishly. The rest of the letter is about literary matters, gossip about reviews in English periodicals & enquiries about Moore's own plans for publication. I don't want to tempt Fate or Providence or any other higher power but it feels as though summer is over & autumn is just around the corner. After last year's heatwaves & very hot weather, this summer has been mild in comparison. Still, I'm looking forward to autumn & winter as much as ever. Cool, crisp nights & early mornings, Sunday afternoons reading & drinking tea with a cat on my lap, making soup & filling the freezer with pasta sauce. Perfect! 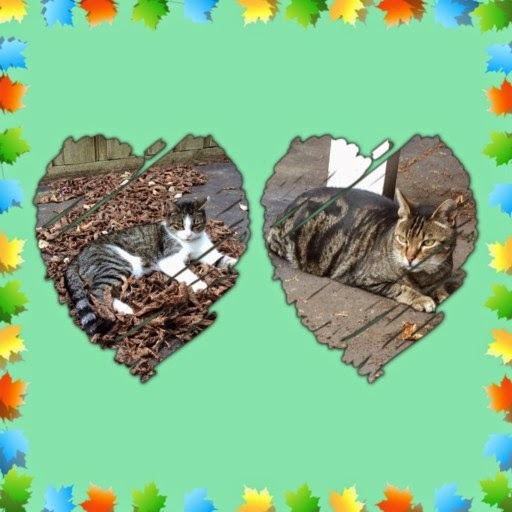 I took these photos of Phoebe & Lucky last weekend. The nights are drawing in, the pre-season football competition has started (my only interest in football is that the beginning of the season means that it's autumn) & the weather has turned quite cool for this time of year. Of course, a week of mild temperatures & a few brown leaves doesn't mean that summer can't make a return but I'm only thinking positive thoughts. Lucky & Phoebe are thinking positive thoughts too & they're already scouting out the warmest places to sit near the heater or on my bed, ready to stake a claim. My final piece of evidence is the clincher. Here is Phoebe on her purple bed on the back porch for the first time since last Spring. I put the girls' daybeds out on the porch every day but they hardly ever use them in the summer. Definitive proof that the weather is getting cooler. Maybe I should contract Phoebe out to the Bureau of Meteorology as a forecaster? Just over a year ago I read Kirkham's Find by Mary Gaunt, a book that had sat on my shelves for a very long time before I finally got around to reading it. I loved it & it was one of my Top 10 books last year. So, I was very pleased to discover that a biography of Mary Gaunt was about to be released. She led a very adventurous & unexpected life & I'm so glad I had the chance to find out more about her. The character of Phoebe Marsden in Kirkham's Find owes quite a lot to her creator. Mary grew up in country Victoria, the daughter of William Gaunt, an Englishman who came out to try his luck in Victoria in the 1850s, & Elizabeth Palmer, an excellent horsewoman who had rather aristocratic views on the right way to live one's life. The Gaunts married in 1860 & Mary was born on the goldfields at Indigo in 1861 where her father was working as a Warden. He was employed by the Government to keep the peace & was later able to study law & became a solicitor. Mary grew up as part of a large family & was one of the first women eligible to enrol at Melbourne University. Unfortunately her academic career only lasted one year as she found the course unsuitable & failed her exams. However, she was already writing & had some early success with stories & reviews published in the Melbourne newspapers. 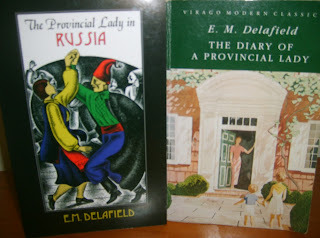 Soon she was writing novels to be serialised in the newspapers & planning a trip to England. Most Australian authors were published in England in the late 19th century & Mary set off with a letter of introduction from the Editor of The Australasian & a determination to forge a career for herself. At first, everything she wrote was returned. There seemed to be no market for Australian stories. 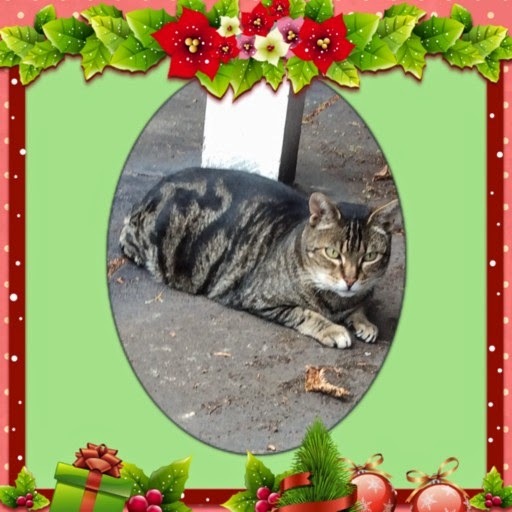 Then, Mary retold a story she heard from her brother Guy, who was in the merchant navy. It was the exciting story of a trip by torpedo boat across the Atlantic. She signed it M Gaunt, hoping to be taken for a man, & the story was accepted & published in The English Illustrated Magazine. Mary kept writing, found an agent & returned to Australia having made a start on her career. On a visit to friends in Warrnambool, Mary met Dr Hubert Miller. The original attraction may have been his beehives (she was keen to learn beekeeping) but Hubert pursued Mary & they were married in 1894. The Millers were very happy, although Hubert's mother lived with them & she disliked Mary, disapproving of everything she did. Mary refused to quarrel with her mother-in-law & spent a lot of time biting her tongue to keep the peace. Unfortunately only five years after they were married, Hubert's health failed. His behaviour grew erratic, then frightening as his mental health declined. He ended his life in an asylum, suffering from the effects of tertiary syphilis. Mary had continued writing during her marriage but, after the sadness of Hubert's last months & his death, Mary wanted a fresh start. She was left with very little as Hubert had been unable to work for some time & she gave what was left to Hubert's mother. In 1901 Mary decided to leave Australia & return to London where she hoped to continue her career. Life in London in those early days was very hard. Oh, the hopes of the aspirant for literary fame, and oh, the dreariness and the weariness of life for a woman poor and unknown in London! I lodged in two rooms in a dull and stony street. I had no one to speak to from morning to night, and I wrote and wrote and wrote stories that all came back to me... they were poor stuff, but how could anyone do good work who was sick and miserable, cold and lonely, with all the life crushed out of her by the grey skies and the drizzling rain? Although that first year in London was probably the lowest point in Mary's life, she was about to embark on the most exciting part of her career. Mary always longed to travel & she was always ready for adventure. She had always wanted to see Africa, after reading about it as a child & her fascination with China began when she saw the Chinese miners on the goldfields of Ballarat when she was young. She began by collaborating with a young doctor, Thomas Tonkin, on a series of adventure novels set in Africa, on the Guinea Coast. Tonkin had been on a missionary expedition to Guinea & Mary could supply the plot. The stories were reasonably successful but only made Mary more determined to see the world herself. Mary eventually financed the trip to Africa by writing a mystery serial for the Chicago Daily News. It was the beginning of years of adventure as Mary traveled to Africa & China, writing articles & stories based on her adventures to pay her way. She was a traveller rather than an explorer, staying with Colonial officials on her journeys rather than hacking her way through the jungle in a tweed skirt. However, she was unafraid by obstacles or dangers & reveled in new sights & meeting new people. Mary was never a conventional woman & I love this story of her traveling by train near Brighton with two ladies who are determined to snub her attempts at conversation. After seeing a convoy of elephants & camels from a circus by the side of the road, the ladies are determined to ignore both the animals & Mary. Those two ladies were a credit to the English nation. They bore themselves with the utmost propriety. What they thought of me I can only dimly guess, but they never even raised their eyes from their papers. Of course the train rushed on, the camels and elephants were left behind, and there was nothing to show that they had ever been there. Then I regret to state that I lay back and laughed til I cried, and whenever I felt a little better the sight of those two studious women solemnly reading their papers set me off again. When I got out at Hassocks they ... literally drew their skirts around them so that they should not touch mine and be contaminated as I passed. Mary spent the last years of her life in Europe, never returning to Australia. At the age of sixty she made a trip to Jamaica, writing a book about her experiences which upset the expatriate community. For the last twenty years of her life, she lived in Bordighera, an Italian town very near the French border on the Riviera. There was a small community of expatriate Britons living there, including several writers, & Mary continued working on her stories using a lifetime of travel & experiences to furnish plot & incident. In June 1940 as Germany invaded France, the small British community in Bordighera was moved across the French border to Vence, a walled village in the mountains not far from Nice. There she lived until her death in January 1942. Mary Gaunt lived a remarkable life for a woman of her time. She had a sense of adventure & a determination to live an independent life & she was able to realise her dreams. I loved reading about Mary's life & I can only hope that some of her novels may be reprinted one of these days. 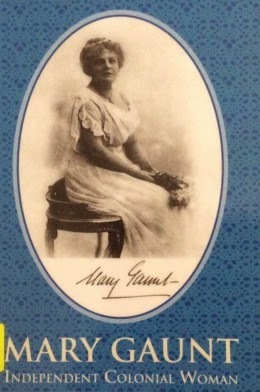 A few of her novels & collections of stories are available from Project Gutenberg but I would love to see an Australian publisher like Text Publishing add Mary Gaunt to their wonderful Australian Classics list. 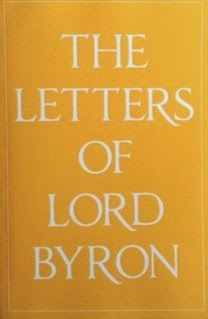 I'm about halfway through reading the Letters of Lord Byron, recently reprinted by Michael Walmer. Byron has just fled to the Continent after the scandal surrounding the end of his marriage. Among the many rumours about the breakdown of his marriage was one that accused Byron of having an affair with his half-sister, Augusta Leigh. They were devoted to each other & Byron was devastated to be separated from Augusta, sending little presents back to England for Augusta's daughters & his own little girl, Ada. I don't think anyone really knows whether or not they were lovers (although there have been many theories) but this poem is full of despair, misery & sadness & I find it very poignant. 'Tis of thee that I think--not of them.